“By 2025, China will have built fifteen new ‘supercities’ each with 25 million inhabitants. It will have created 250 ‘Eco-cities’ as well: clean, green, car-free, people-friendly, high-tech urban centres. From the edge of an impending eco-catastrophe, we are arguably witnessing history’s greatest environmental turnaround – an urban experiment that may provide valuable lessons for cities worldwide. Whether or not we choose to believe the hype – there is little doubt that this is an experiment that needs unpicking, understanding, and learning from. 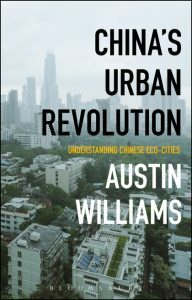 Austin Williams, The Architectural Review‘s China correspondent, explores the progress and perils of China’s vast eco-city program, describing the complexities which emerge in the race to balance the environment with industrialisation, quality with quantity, and the liberty of the individual with the authority of the Chinese state. 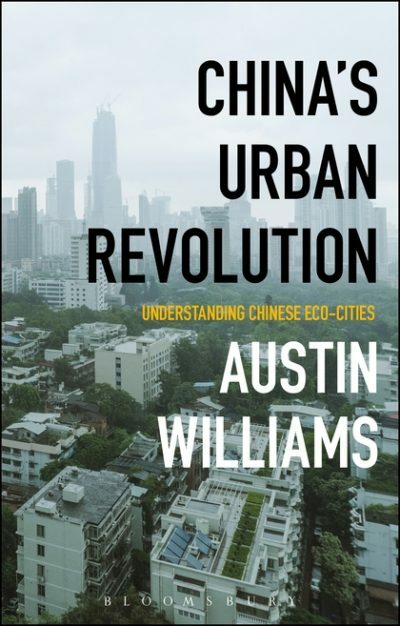 Lifting the lid on the economic and social realities of the Chinese blueprint for eco-modernisation, Williams tells the story of China’s rise, and reveals the pragmatic, political and economic motives that lurk behind the successes and failures of its eco-cities. The Military: Muscle or Mindfulness?